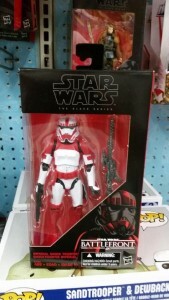 The Yakface Toyguide updates continue with the addition of the Walmart Exclusive 6″ Battlefront Imperial Shock Trooper from The Black Series. 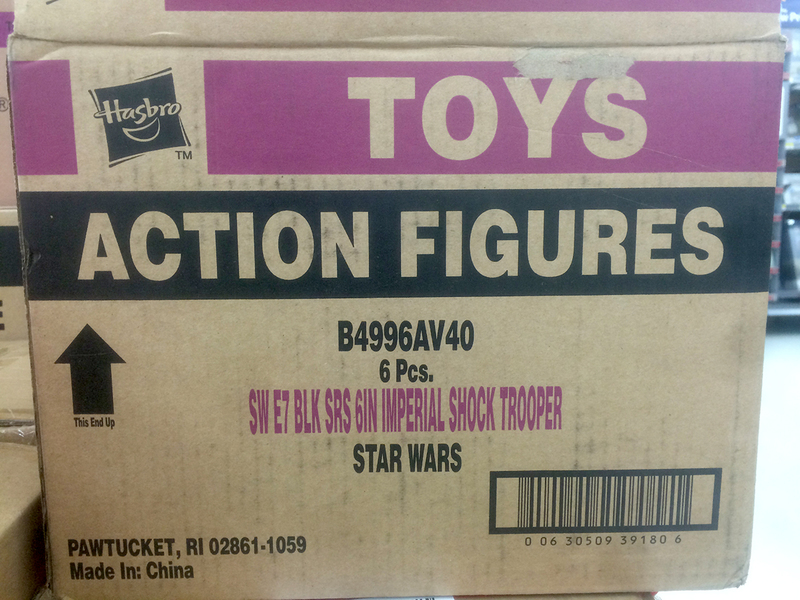 PROS: The Shock Trooper is a solid, no-brainer offering from Hasbro. Having a cross-sell product for the game required little additional investment other than a new deco for the existing trooper and a new attractive box. The deco for the figure is well applied for the most part, but discerning collectors may want to pick and choose from the available figures at retail in order to obtain the best product sample. CONS: It is early yet to offer any real cons on the figure itself (other than the slight leg bowing due to the packaging) but the relaying of information from the manufacturer and retailer to collectors that this was even going to be available was/is lacking. There seems to be a disconnect between all parties in knowing what is available (and when) to the consumer. With the planned marketing and product release push that Star Wars Battlefront received, you’d think that tie-in promotional product such as this would be better communicated and advertised to the public. 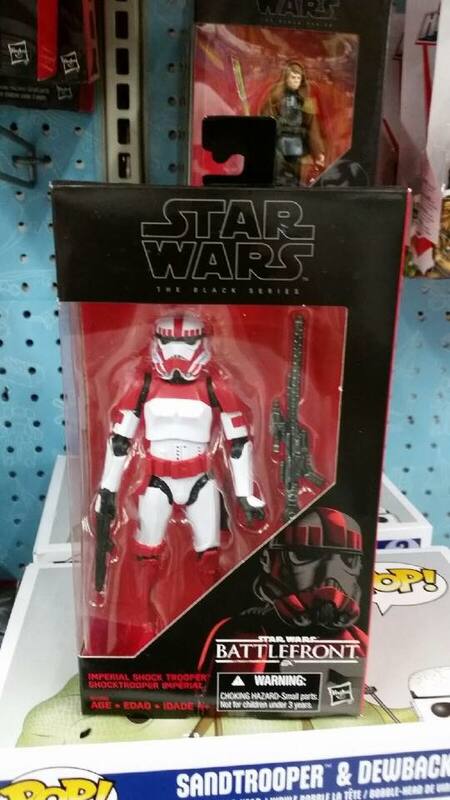 Further proof that retailers and PR firms for product for The Force Awakens, “Force Friday” and other events are completely in the dark, our team mate, Nabil form The Wolfpack Podcast has found the 6″ Battlefront Imperial Shock Trooper at Walmart in Florida. 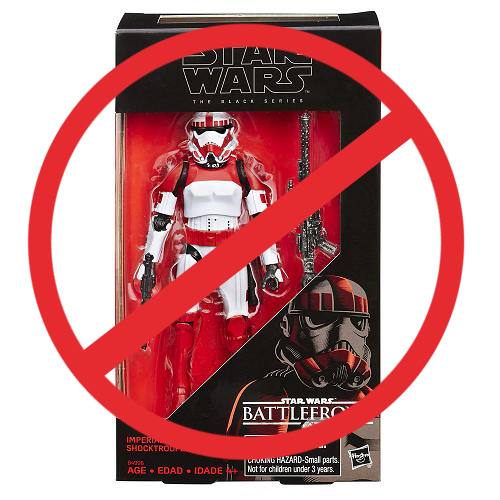 As a follow up to Walmart’s press release regarding the Exclusive 6″ Black Series Battlefront Shock Trooper, I was able to receive definitive confirmation that it WILL NOT be available as part of this weekend’s Epic Weekend event. Look for official details on its US release soon. 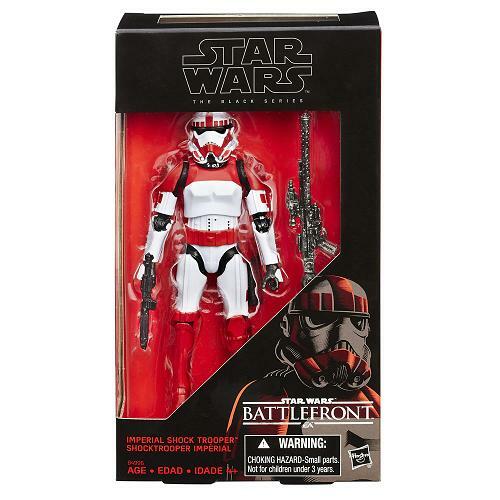 Walmart.com will be offering their exclusive 6″ Black Series Battlefront Imperial Shock Trooper for order soon. Watch for the link via social media in a few days. With the Star Wars™ Battlefront™ release nearing, Walmart is starting the celebration a little early by hosting ‘Epic Weekend’ events on Nov. 13-15 at more than 3000 stores across the country. Click on through for the details including info for the 6″ Black Series Battlefront Imperial Shock Trooper. Jedi Temple Archives directs our attention to a new image from StarWars-Figuren that reveals an exclusive Star Wars Battlefront Shocktrooper for the 6″ Black Series line. No official details are available at this time regarding US distribution, but look for an update as more info is gathered. Update: Order Sixty Six Toys in the UK currently has this for preorder and they give a look at the packaging as well. Our friends at VinylmationWorld alert us to news that GameStop will be offering 4 exclusive Funko POP! Vinyl Bobbleheads for their May the 4th event. POP! 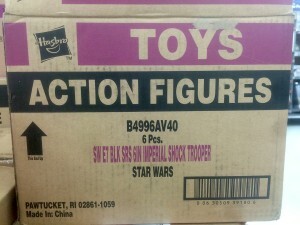 characters include: Han Solo (Hoth), Chewbacca (Hoth), Figrin D’an and R2-B1. Each retail for $9.99 and can be purchased in-store or online. Be sure to check out their other POP! Vinyl merchandise or preorder your copy of Star Wars: Battlefront. Yesterday, we were all witness to the amazing visuals of The Force Awakens in the new trailer. Now, some of the backstory is getting fleshed out through the new Battlefront game via a DLC (downloadable content). Star Wars Battlefront: Battle of Jakku takes place just after the victory at the Battle of Endor and leads to the crashing of that Star Destroyer on Jakku’s surface. Click on over to ComicBook.com for the full story.